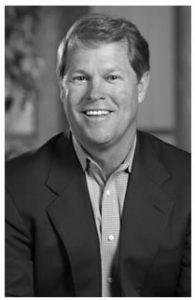 Jim Wyland founded WealthStone (formerly Professional Planning Consultants, Inc.) in 1977 to provide full service financial advisory, wealth management and business consulting services to help successful business owners and individuals plan, build and protect their business and personal net worth. He is the President of WealthStone and has particular expertise in business financial consulting, business succession planning and merger & acquisition transactions. Jim was an honors business graduate with a degree in accounting and finance from The Ohio State University and is a Charter Financial Consultant. Active in the community, Jim is a member of the Board of Directors for Wyandot, Inc. He is on the Board of Advisors for Donatos Pizzeria and the J.E. Grote Company. He is a past trustee for the Warren Brown Family Foundation and the Fellowship of Christian Athletes. Jim enjoys golf and is a member of the Muirfield Village Golf Club and The Ohio State University Presidents Club. He resides in a reconstructed post and beam house on 10 acres in the woods in Powell, Ohio. He has four grown sons and two grandsons.